Superbagneres resort is in the heart of the Pyrenees with an exceptional concentration of peaks over 3000m. The lift from the centre of Luchon allows you to access the slopes of Superbagneres in just 8 minutes. Divided into 3 sectors, Superbagneres offers a wide variety of slopes and a spacious new snowpark. 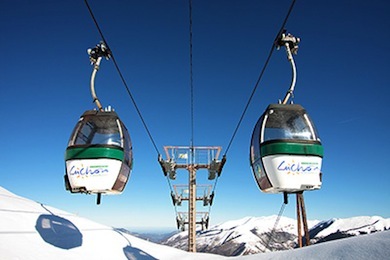 Techous Sector is accessible from the gondola with gentle slopes and a KidiPark. 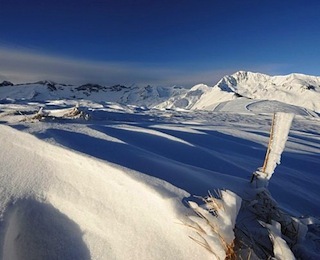 This area is ideal for beginners and children and hosts the Glisses snowpark. Superbagners has introduced special access for beginners to this area allowing them to practice the rudiments of skiing. Lake Sector offers blue and red runs for skiers in the heart of the forest. Ideal for beginners who are ready to progress from Techous and the baby slopes. Céciré Sector is the highest part of the resort. It offers long blue runs (including a 5km long piste) red and black runs making this sector ideal for all skiers and, as a bonus, has unparalleled views of the Pyrenees. 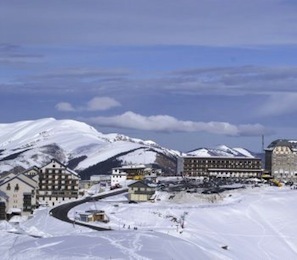 In total, Superbagneres has 32 km of slopes including 4 green, 11 blue, 7 red and 6 black runs. There is a snowpark, cross-country skiing area and places where you can toboggan. Every Wednesday the gondola stays open until 2030 hours. In addition to downhill skiing, visitors can experience other activities including paragliding and snowshoe walking. A new activity ”Airboard” has been introduced and is a popular choice with many of our guests. Luchon is a beautiful spa town (known as the Queen of the Pyrenees) and offers an abundance of shops, cafes, bars, restaurants, cinema, disco, casino and the famous spa with its underground natural caves and pool.